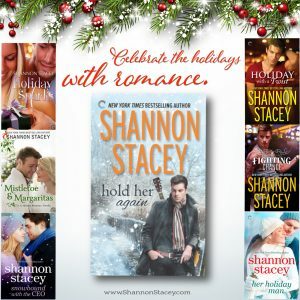 « Win TEN holiday romances AND an Amazon GC! A roundup of my holiday novellas to date! Saturday, November 25th, 2017 • Comments Off on A roundup of my holiday novellas to date! Click on the titles for buy links and excerpts! House-sitting for her parents seemed like a good idea, until the microwave blew up and the lights went out. Now Chloe Burke thinks upgrading the electrical system of her childhood home while they are away would make the perfect Christmas gift. Fortunately, there’s an electrician in town who can get the job done by the holidays. Scott Quinn has wanted to get his hands on the Burkes’ wiring for almost as long as he’s wanted to get his hands on their daughter. Chloe didn’t notice Scott back in high school, but she’s noticing him now, and soon they’re indulging in a little festive fun: no strings, no expectations. After all, Chloe plans to get out of this goldfish bowl of a town and back to her real life in Boston by New Year’s. But Chloe and Scott discover they enjoy each other’s company just as much out of bed. Could their holiday fling turn out to be the real thing? Adrian Blackstone built a million-dollar business with hard work and determination—and by remaining professional at all times. Denying his longtime attraction to his beautiful executive assistant hasn’t been easy but it’s necessary. She’s indispensable, and he can’t stand the thought of losing her if things didn’t work out. Christina Forrester is starting over. After a financial scandal sent her ex-husband to prison, she’s left raising her young son without any of the comforts of their old life. Budgets, coupons, lawn care—you name it, she’s learning to do it all on her own. Well, almost on her own—she’d be lost without Gail Broughton, the kind widow across the street. 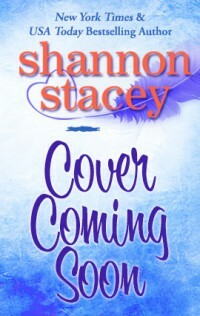 But when Gail’s son comes home, Christina’s vow to never trust a man again is put to the test. Will Broughton left town because he was tired of being “that poor man” who lost his wife and unborn child in a tragic accident. But years have passed and, with his dad gone and his mom alone, it’s time to go home. Only his mother’s not alone. She’s taken Christina under her wing, and the beautiful and determined single mother awakens something in Will he thought was buried forever. All work and no play makes Adeline Kendrick a dull girl, so when she heads to a casino resort for a friend’s bachelorette weekend, she’s ready to have a good time. Until she runs into Brendan Quinn, professional fighter and the one who got away—the one her family drove away—and things take a turn for the interesting. After a messy breakup, Leigh Holloway is ready to start her life over. Until her parents put the family home on the market and call her back for one final, memory-making Christmas. The last thing she wants to do is deprive her mom of the perfect holiday, so she’ll lie her way through the visit and worry about her future in the New Year. Too bad the only bar in town is owned by a guy she seriously wronged in high school. Leigh’s best friend broke Croy Dawson’s heart, and Croy knows it was Leigh’s fault. They’ve never liked each other, but Croy isn’t cruel: he’d never turn away a pretty woman in need of some family-Christmas fortification. He doesn’t expect her to drink just enough candy-cane martinis to tell him her secrets—and he definitely doesn’t expect to get caught up in her holiday madness. Ava Wright isn’t happy to see her high school sweetheart rolling into their hometown a few weeks before Christmas. He’s only come back to bury his estranged father, but there’s no way she’ll be able to avoid him. No one can: he’s become a country-music superstar since going solo and leaving Ava behind. Jace Morrow grew up believing “money can’t buy happiness” was something people said to make themselves feel better. But now he knows it’s the truth: no matter how many number-one hits he has, he’ll never recapture the magic of singing with Ava. Missing her—loving her—and living with making the wrong choice in life were what made him who he is. When Jace is roped into being part of the town’s annual Christmas party, he only cares about earning Ava’s forgiveness. And though Ava’s heart has never healed, she loved Jace too much and for too long to shut him out when he’s hurting. As they fall in love all over again, they’re both faced with choices for their future…and this time Jace intends to make the right one. And my very first holiday novella, IN THE SPIRIT, is only 99 cents for Kindle (and also available through KU)! When a holiday-loving ghost tries to rock around the Christmas tree with a Grinchy guest, will they both wind up on the “naughty” list? Even though Zach Roberts died in an incident involving a string of lights and an inflatable Santa, he’s determined to deck the halls in a big way. But being trapped in a rental cabin with the Ghost of Christmas Overkill isn’t on Jessica Newton’s bah-humbug agenda. Together they discover it’s nice to be naughty, but can he help her find her holiday spirit? This entry was posted on Saturday, November 25th, 2017 at 12:22 pm in Uncategorized. You can feed this entry. Both comments and pings are currently closed.